SKF, one of Bearing Service most valued manufacturers – and one of the world’s leading technology providers since 1907 – recently announced their intention to construct the world’s most powerful bearing test centers. Located in Schweinfurt, Germany, this massive project is projected to cost over $40 million and the facility will span nearly 2 square miles. With the goal of tailoring large bearings to their roles with greater precision and efficiency than current test centers, SKF’s aim is to allow “customers to benefit from […] significantly higher levels of robustness and reliability in the new generation of large bearings.” Dedication to quality and accuracy has been a hallmark of the company since their founding. Operating in over 40 industries and combining knowledge of several technology platforms – such as bearings and units, seals, mechatronics and more – SKF has continually fought to maintain their position among the world’s best bearing manufacturers. The most intriguing aspect of SKF’s new project is, perhaps, its transparency. With the build process being livestreamed over the Internet, anyone interested in witnessing the construction of this monumental test center is free to do so. Of course, such a large project is bound to take time… the center is scheduled to open and begin operations in 2017. 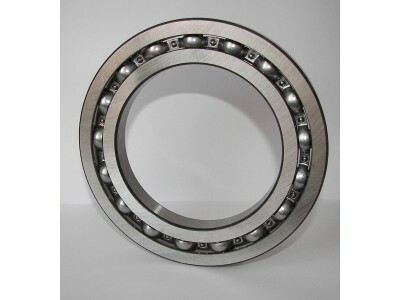 However, in the meantime, current customers of Bearing Service and SKF are able to watch the project unfold and, more importantly, gain an understanding of just how far the company will go to ensure precision and accuracy for their clients. At Bearing Service, we proudly carry products from SKF. From precision bearings and spherical bushings to ball screws and lubricators, we know that our customers demand the best. As a result, we’ve aligned ourselves with SKF – and other proven manufacturers – to deliver on these expectations. If you’ve been looking for a trusted, committed partner that can provide you with the best bearings and bearing repair in the industry, contact us today to learn more about our products and services.